Risk, We talking about Risk? 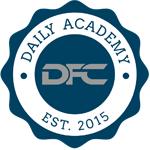 Welcome to Chapter 4 of Daily Fantasy Cafe's Advanced Bankroll Management Series. In this chapter you will be introduced to Qualifier play. One of the most exciting moments for DFS players is being able to qualify for a live final. The possibility of competing for a $1M prize and meeting the greats of the industry is one we all can appreciate and dream of. The interesting part about live finals is that they are all qualifying only – no direct buyin. That means you must have a strong qualifier strategy for live finals as well as everyday tournaments. This past NBA season I used the strategies below to target the FanDuel Mega Slam in which I was able to capture 100 tickets valued at $2500 for $1,100. By utilizing qualifiers, you can give yourself significant upside at a decreased price. I will provide you with my exact bankroll strategy below due to the volatile nature of qualifiers. As previously discussed, qualifier tournaments are extremely top heavy, typically paying top 5% or even top position a ticket to the desired tournament. Being said, that means you must truly win for these to be beneficial. That is, unless it pays out 250 tickets with 5000 entries. I do not suggest starting off immediately playing qualifiers. I do not recommend playing qualifiers unless you have a long term ROI of 10% or the volatility of the games will be too much. If you have obtained a long term ROI of 10% or greater please continue. 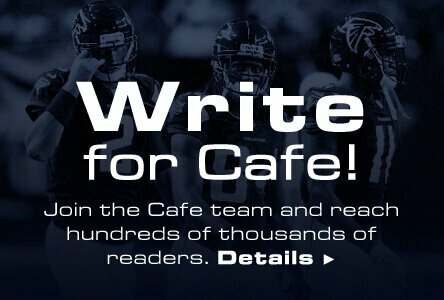 If not, please go back and review our Daily Fantasy Café articles and podcasts on site to improve your play. I am being very serious regarding the management of qualifiers because they can deplete a bankroll if you do not properly manage it. If you have obtained a 10% ROI or greater it is now the planning phase. You must decide as a player which tournament you are interested in qualifying in and the necessary money that will need to be allocated to gain a seat. Example: Draft Kings currently has a $20 qualifier with 17 entries that pays first place a $300 ticket. This means that you must win the tournament 1 out of every 15 entries to be making it a profitable venture. The payout structure for our $300 tournament is a flat structure paying 20%. Understanding the percent that are being paid and whether the tournament is skewed or flat distribution of payout can greatly impact if I am willing to attempt to qualify for a tournament. In my own opinion, the flatter the structure the better. When you are reviewing a tournament structure a quick and easy way to tell if it is flat is by looking at 1 st place, 2nd place and 9th-10th place. A flat structure will have 2 nd place be half of first place and 9th or 10th place be roughly 10% of first place. If the numbers seem skewed the tournament is likely top heavy and not worth qualifying for. Note – Many sites host super qualifiers. These are essentially qualifiers placed before the day of the big tournament that we are attempting to qualifier. Very frequently, these super qualifiers will overlay and increase our win rate significantly. These are great opportunities to target and help build our bankroll. To recap above, we have a $20 qualifier that pays out 1/17 (5%) and has a breakeven of 15 entries. The breakeven point is extremely important because while attacking qualifiers you must push to give yourself equity. This means that you are receiving a discount if on the 14 th entry you win or 10th entry yet you have spent $200 to $280. How Do I Allocate My Bankroll Towards Qualifiers? During the early portion of my DFS career I wasted money into GPPs hoping to “bink" one and into a large tournament. This led to me literally entering a qualifier, not getting first, and then losing. This is an extremely costly situation and counterproductive to bankroll growth. After struggles, I figure out the best way to attack qualifiers. Allocating a certain percent of your ROI on a week-to-week or month-to-month basis. Using myself as an example I allocated 15% of my net winnings towards qualifiers. This means that at the end of the week or month, I would essentially consider that money lost. Example: Player A wins $2,000 in December. In February he will allocated $300 towards qualifiers. How you distribute your qualifiers is entirely up to you. I personally look to have my breakeven point in qualifier allocation before I attempt to go after a qualifier. This means that if you plan on trying to qualify for (3) tournaments at once you must have enough funds for a breakeven point on each of them in your qualifier allocation fund. For example, you want to qualify for the $300 tournament you must have $900 in your fund. A reason I am able to attack qualifiers regularly is because of the next essential part of this strategy. When you do finally qualify for a tournament and cash in that tournament the distribution of those funds is important. Example: Above we decided we would be attacking the $20 qualifier into the $300 GPP. We have won the qualifier, entered and won $7,000 in the GPP. Now what? This is truly the breaking point of you being able to attack qualifiers and bigger prize pools consistently. The formula is extremely simple and one I developed. To summarize we will be deducting our total qualifier entries from our total tournament winnings and returning that money to our bankroll. We will then take 40% of the remaining money and enter it into our qualifier allocation fund. By doing this you are comfortably growing your roll once your risk pays off and also generating a pool of money to attack much larger tournaments. With prize pools of first place winning $1M we must allocate funds in a correct and safe way to give ourselves a chance at life changing money. By following my bankroll strategies above and qualifier strategies given in other guidelines, we can help get you to that point. If you have questions pertaining to this article post on our forums or tweet me.